Henrietta’s Reader’s Choice Awards closed May 31st. Thanks to everyone who participated!! Stay tuned for winners in our July, Reliant Dog Show Issue. Pawty Palace in Katy is the best in all three categories. Jen has been known to deliver dog food to my house when I couldn’t make it out to the PP before closing and really needed the food. Hats off to the people who keep rescue animals in their homes! They truly do not get enough credit for what they do and how many animal lives they save and how VERY HAPPY they make those of us who “get to rescue” and love the “unloved”! I vote for Pawty Palace in Katy, TX. They excel in all areas! Did you go to the page to vote? Comments on our site are not votes, you must click the link..just want to be sure your vote is counted! Sasha’s Suds N’ Duds is the best all around. Jan is so friendly, and tentative with all the dogs, and the boutique has everything you could possibly want. If you want a different color or size she is more than willing to find it for you, that’s customer service. My Bella loves Sasha’s, it’s her second home! Houston is a great town for pets. We have a very caring community. Being both a cat owner and owning a buisness that works with cats I would like to spread the word that Houston has seven “cats only” vet clinics who all do an outstanding job for cats. And their are many vets in the multianimal clinics that do wonderful work with cats as well. We also have specialists at Gulf Coast(for Cats) & elsewhere for dogs who have the equipment, training & skills to prolong our friends lives. Most other cities do not have these wonderful services availble. Cats are not as high profile because they don’t play well with the new cat on the block so taking them to a park or restaurant is out of the question(although I did have lunch at the Carlyle in N.Y. many years ago with a friend whose cat was in a basket sitting beside her while the staff brought treats just for him). He was a very well bred cat. 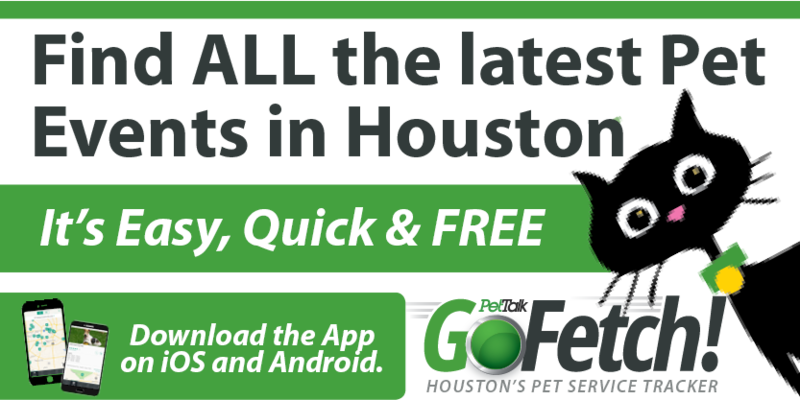 Many dog owners also have cats so I hope to see more about cats in future Houston Pet Talks. My vote goes to Houston Dog Ranch in Spring Branch. Caring for clients (human and dogs) , clean, fun, educational, and safe. They revealed that I was taking my dog to a deficient vet facility and referred me to the BEST! My first dog so I was unaware. Excellent dog training program too. Dog’s Day Spa- Andre and Patti- the very best. Not only good groomers- but good friends. No one is ever disappointed with Andre and Patti. DOG’s DAY SPA is the one! We love Dogs Day Spa in Spring/The Woodlands. They are always on time, remind me the day before and have us on a schedule! Our dog is groomed exactly like we want her, smells great for weeks, and looks forward to her day of beauty! They are very fast which is great for my busy schedule! Highly recommend! You must check out “Meadowlake” before you cast any vote here. Probably the most comprehensive of all the pet-hotel-resorts. State of the art in all categories & personnel. Chrissie, owner of Paw It Forward Training, has an amazing way with dogs. She has helped me with serveral behavior problems with our Boxer. I also like the fact that her philosophy is to give back – which is why she is also involved with local dog rescue kennels. Keep up the great work, Chrissie! 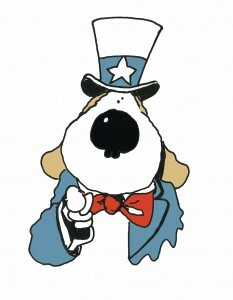 I want to vote for ACT ( Ali’s Canine Training) in Spring. Her class demo last Spring Bark was so great. She can train any dog. Ask at dog parks around woodlands people will tell you. Meadowlake Pet Resort is an amazing facility. State of the art kennels and even suites for cats! A wonderful program for dogs working out and playing. Even a dockdog facility. It’s great! Fabulous! Barkology dog training has changed our lives with our dogs! Thank you, Snow! Good job. I am so pleased with the staff at Meadowlake Resort. For the first time I can leave my dogs without worry about them every moment I was gone. I say about Meadowlake, when my fur babies are finished with their stay I get to go and stay on the beautiful property. meadowlake pet resort is my favorite lodging facility. My dog is nervous around other dogs and i have badly wanted to take her to the dog park. Ana and jan in daycare are so great and treats my dog like their own. They have been working with me and i am now able to take my pooch to the park. the facility is beautiful, i would like to check my self in for a weekend, its that nice!! meadowlake gets my vote! You won’t be able to find a one stop doggie shop anywhere to match it! Drop off “FLUFFY” and when you get back you can pick up all sorts of goodies and pretties there. The staff are well trained to take care of any questions you ask. The facility is clean and sweet smelling. If you don’t see what you want, just ask and they can find it for you. I hope they’ll be around for many years to come….way to go guys!! !